A police search is under way for a man who tried to throw a flammable object at people at a depot in Sheffield. The man, said to be 46-year-old, struck at Sheffield Council contractor Amey’s depot on Olive Grove Road, Heeley, at around 6pm. 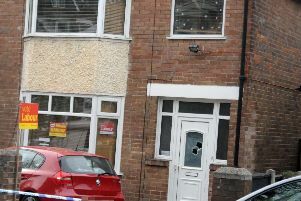 South Yorkshire Police said the man was known to those he targeted. Detective Constable Newman Holt said: “Those involved in this incident are all thought to have known each other and we are actively looking to speak to the man involved. “He is thought to have suffered injuries as a result of the incident and it’s really important that we find him, to ensure his welfare, and speak to him about what happened. Call South Yorkshire Police on 101 and quote incident number 646 of December 10. Crimestoppers can also be contacted, anonymously on 0800 555111.